Found one file extension association related to Ultra Fractal and 1 file format developed specifically for use with Ultra Fractal. Ultra Fractal is a great way to create your own fractal art. Today, fractals are much more than the Mandelbrot sets that you may have seen before. With Ultra Fractal, you can choose from thousands of fractal types and coloring algorithms, zoom in as far as you want, use gradients to add color, and apply multiple layers to combine different fractals in one image. 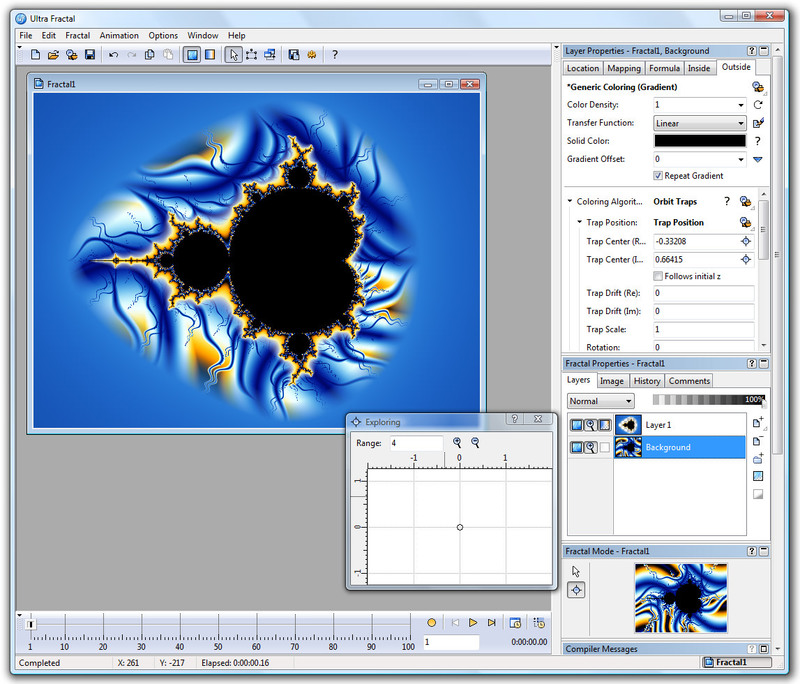 Ultra Fractal is very easy to use and yet more capable than any other fractal program. No mathematics required! If you need more information please contact the developers of Ultra Fractal (Frederik Slijkerman), or check out their product website.